A T-shirt for many is just a piece of cloth that you wear for outings, running or any random occasion. People often buy what pleases their eyes without even considering if that is suitable for them for the occasion they are buying it for. Well, here we are talking about running shirts for men that are quite distinct from your ordinary tees, might not in looks but in the build, feel and the choice of material used. For runners a shirt that can make them feel comfortable even after miles of running and make you feel fresh throughout your running sessions. These running shirts for men are designed especially for runners considering in mind the fabric, design, ventilation, sweat management and other such crucial factors that greatly boost the runner’s performance on the tracks. There are hundreds and thousands of different options that arise a confusion in one’s mind and makes it arduous for one to decide which shirt to go for. Thus in order to help you decide and get the best for yourself, we present you the list of top 10 best running shirts for men in 2019. The Champion Athletic wear is a renowned name in providing the best in class athletic apparel at minimal prices. 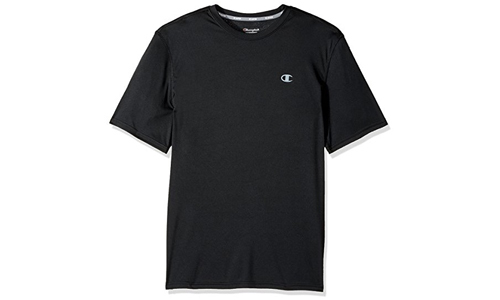 This Champion men’s classic jersey T-shirt is one lightweight cotton shirt that is suitable for sports activities, as cotton has great absorbent properties and is very effective in absorbing heavy sweats during vigorous activities such as running. 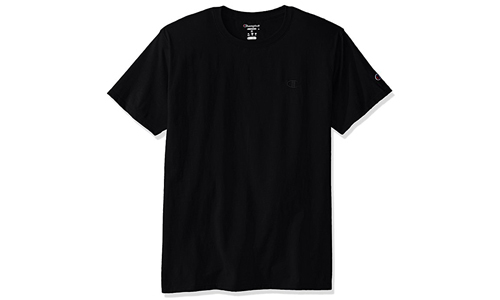 This T-shirt has been made out of the mixture of high-quality cotton and polyester. Available in 18 different colours from dull colours to vibrant ones, choose what best suit your style. Extra Soft due to the ring spun mechanism of cotton. Easy machine washes friendly. Looks stylish due to the presence of narrow collar. 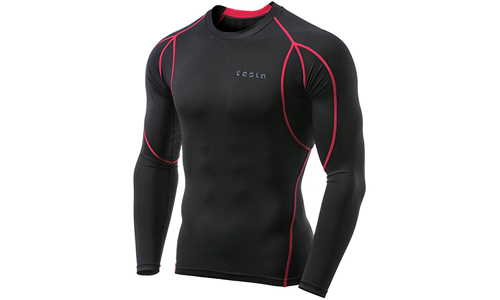 Not a T-shirt, but a compression top that’s suitable for running in any weather. It tightly grips your body, but still makes you feel comfortable. The material and the perfect fit design of this compression top keeps it intact to your body while running or playing any sport. It keeps you dry through, thanks to the ultra-breathable material used for the manufacturing in this top. It also doubles up as a rashguard protecting your skin from bruises and other injuries. The combination of spandex and polyester provides superior elasticity to avoid any wear and tear during a heavy workout. The expandable fabric expands and widens to keep the breathability high and your body dry. Quick wash and wear, make it dry quickly after wash and ready to wear within few minutes. Available in 29 different colours along with some great designs including camo print as well. The DRIEQUIP T-shirt has been specially designed with advanced quick dry superior sweat management fabric that enables it to keep you dry even during the most vigorous activities. Not only it keeps you dry but also the fabric is quite comfortable to be worn during any sort of sport that allows to completely focus on your sport without having to worry about too much sweating. Made of advanced engineered 100% cationic polyester interlocking mechanism for a breathable finish.Well suited for any kind of sport including running, training, gym, football, baseball or even for daily use. Available in various different colours including black, cardinal, Carolina blue, deep orange, forest green and lots more. Lightweight, soft and durable to provide great comfort for long durations of outdoor activities. Tesla sports apparels are great, and that’s the reason for the appearance of the second running T-shirt from Tesla on our list. This shirt has been designed and manufactured by ultra lightweight and comfortable material to make it suitable for sports, running as well as daily wear. This T-shirt has been designed in such a way that blocks the harmful Ultraviolet rays from reaching our skin. Carved out of the state-of-the-art Plasma Fabric that makes it ideal for all type of sports as well as daily wear. UPF 50+ Protection from the ultraviolet rays that protects your skin from those harmful rays. Made with the combination of 90% Polyester and 10% polyurethane for both comfort and elasticity. You can choose out of 18 different attractive colours according to your taste. 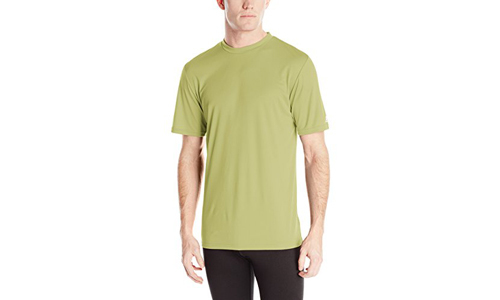 As the name alludes, the Russell Athletic Men’s performance t-shirt has been designed keeping in mind the athletic performance as without compromising on the comfort. 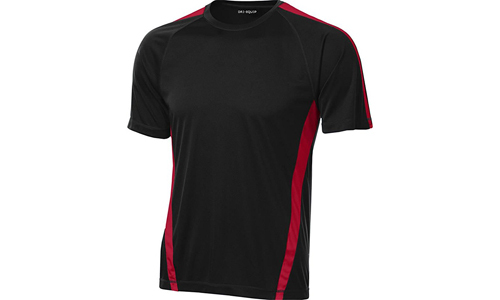 This running shirt has been made completely out of polyester that makes it ultra lightweight and flexible to allow easy mobility during any sport. The Dri-Power sweat management technology keeps you cool and dry throughout the activity. Not only comfortable but the odour protection feature also keeps your body fresh and odourless. Easy to wash, dry and store. UPF 30+ rating protects your body from harmful ultraviolet rays from the sun. 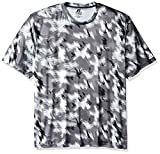 These Joe’s USA DRI-Equip shirts are great for people who are active and perform vigorous activities be it running, gym, cycling or any sport you like. 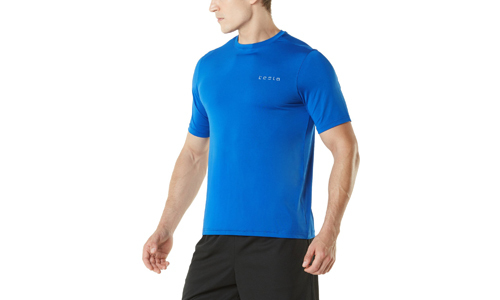 These T-shirts will keep you dry throughout the activity, thanks to the moisture wicking feature that it holds. It keeps your body temperature cooler to a great extent alongside keeping you dry. Available in 12 different size option to get make sure it fits you perfectly. Quick dry management technology that allows the shirt to remain dry during any activity and quickly dry after a wash. Lightweight at just 3.8 ounces, thanks to 100% cationic polyester build. Suitable for any kind of sport as well as daily use. These champion athletic shirts are best suited for running with style. These shirts are a perfect fit for all body types and provide great comfort to the user. The fabric is high quality made up of breathable fabric for sweat-free feel during any activity. Featuring lightweight material that alongside providing comfort also enables it to dry out quickly and makes it very much durable for daily use. Always feel and smell fresh with its FreshIQ advanced odour protect technology. The crew neckline along with short sleeves provides a stylish touch. Made out of 100% lightweight and breathable polyester material. Available in as much as 50 different colours and patterns that make it an attractive choice for vogue lovers. 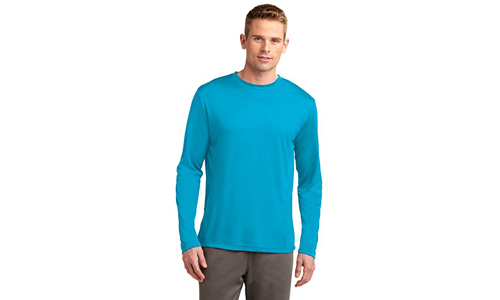 These long sleeve athletic T-shirt from Dri-Tek are stylish and sporty at the same time. Developed using the quick dry management fabric that enables a superior sweat management and allowing full range of motion that enhances your performance in the field. Choose between 17 attractive sporty colours suitable for any occasion. 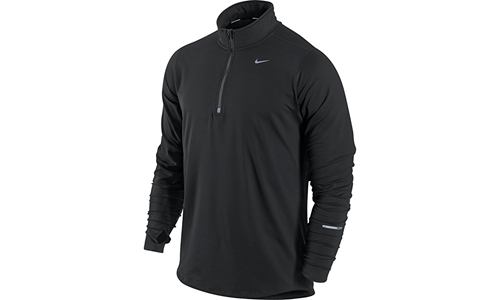 Moisture Wicking technology makes it stay dry throughout the activity. Easy to wash and lightweight makes it great for daily use and maintain. The well-engineered fit makes it great for sports, training, running or daily use. Russell Athletic is the name if you need a durable lightweight and an excellent sports T-shirt and all that at a very affordable price. 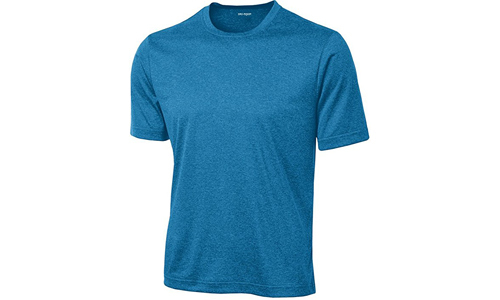 These t-shirts from Russell Athletic are inexpensive but looks really cool and provides great comfort along with sweat management. Made up of a mixture of pure cotton (47%) and polyester (53%). 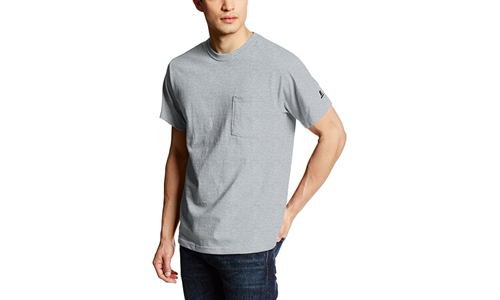 Keep up the style with the crew neck tee featuring pocket a the chest, that looks stylish. Lightweight, easy to wash and maintain, keep your body fresh and dry even after long hours of athletic activity. Available in 6 different colours including true red, white, Oxford, black, navy and j navy. The materials preferred for athletic wear are cotton, spandex, polyester or the mixture of any of these materials. Check if the material is breathable or not, as it allows a better sweat management and keeps your body cool and dry. Must have a good mobility or ability to stretch to a great extent, this allows the shirt to last longer without any wear or tear. It must be lightweight along with easy machine wash feature and should dry out quickly. Last but not least, check whether the T-shirt is UV safe as protecting the skin from harmful UV rays is quite important during long hours of outdoor activity. Choosing the perfect running shirt has never been an easy task and often people end up paying for what they don’t require. All of the shirts listed here are perfect for running along with performing any sport you like without compromising on the comfort and style. You can buy any of the above shirts for your daily needs or athletic purpose, the one that suits you best and the one whose design is the most appealing to your eyes. Happy Running! Get set go.